Always had, and will always be a Strawberry baby. In my previous posts, I mentioned that I’ve been spending my days with the Silverio clan. This time, for the past two days, I spent time with the Soledad family, which includes my grandparents Lolo Roger, Lola Mely and families of the five Soledad Siblings. Some Silverio relatives tagged along too. MAY 20. Sunday is family day! We had lunch at the house. My cousins, Aunts and I went to Coldstone Creamery, which in my opinion, serves the best ice cream in the world. My cousin Chelsea and I had a Cookie Doughn’t You Want Some which consisted an ice cream combo of French Vanilla ice cream, chocolate chips, cookie dough, fudge and caramel. I got mine in a “Like It” size without the waffle cone, my cousin Chelsea got hers in a “Love It” size with a waffle cone. In the afternoon, we went to Boomers! arcade. There we went to an arcade where we could go-karting and play arcade games. I got the chance to see my first Solar eclipse too somehow, thank God! MAY 21. 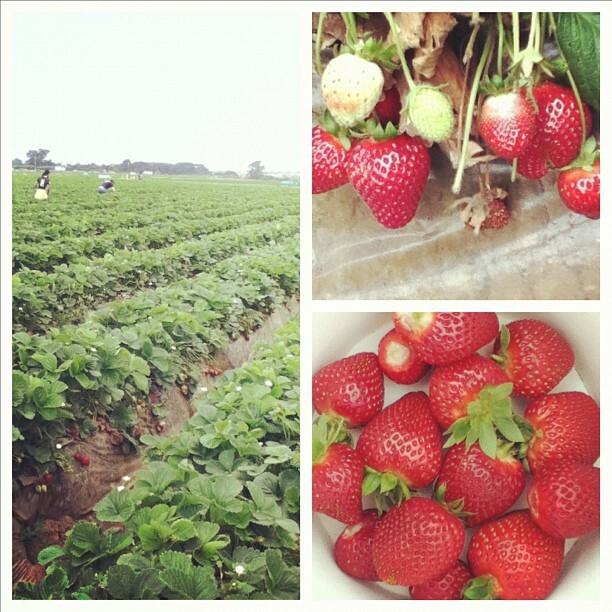 Today, we went to the U-Pick Strawberry Picking at Carlsbad, California. It was a gloomy and windy day. 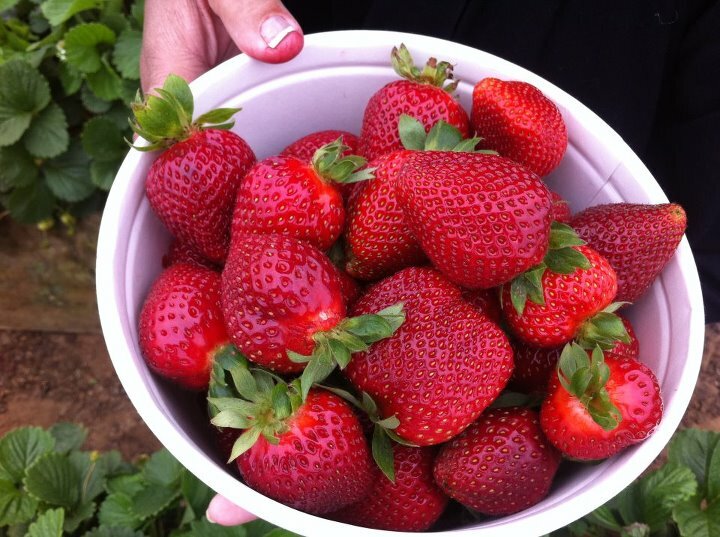 I was looking forward to this activity because I found it fun when I did it eight years ago in the same picking place and strawberries are my favorite fruit. Afterwards, we had late lunch at Denny’s and went to Carlsbad’s Premium Outlets. 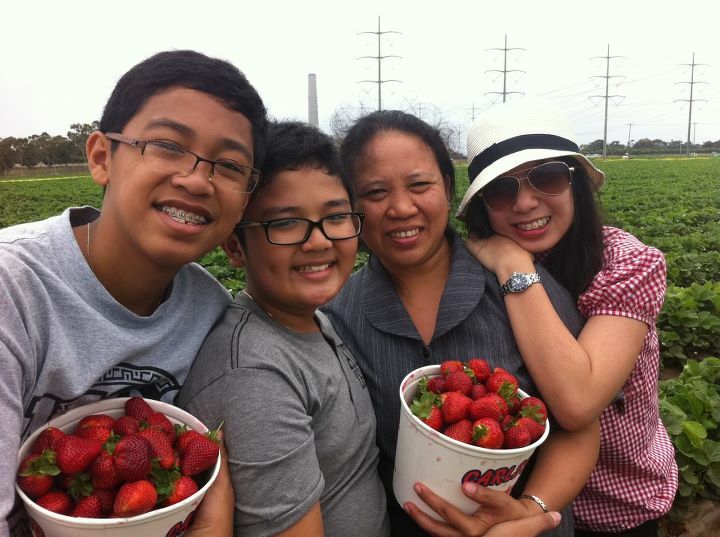 Yaya Julie helped me pick strawberries. 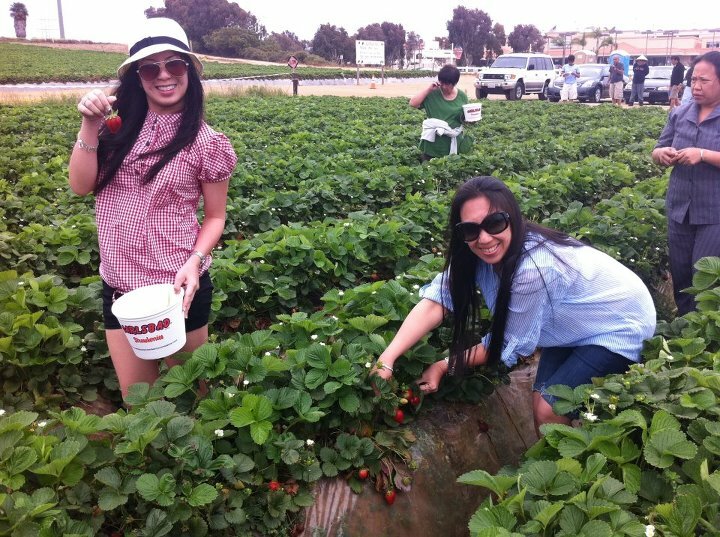 We make a good strawberry picking team. @ the outlet, Chelsea and I tried CB’s Cupcakes. 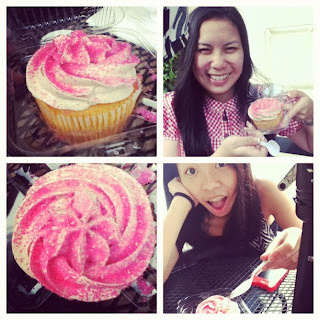 We shared the Butterscotch cupcake which turned out to be the flavor of the week. This $3 mouth-watering cupcake’s WORTH IT!